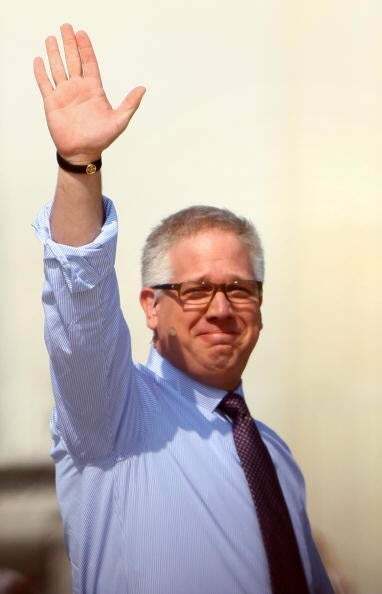 Self-professed savior and talk-show host Glenn Beck. Glenn Beck's audacious Restore Honor rally wasn't the only opportunity to witness the man and his words at work. Media Matters reminded us of how Beck has used "racially charged rhetoric" in order to stoke fear and promote division in this country. In case you've fallen for the softer, gentler, kinder Glenn Beck, Media Matters reminds us why we should be afraid of Beck instead of one another. Beck: Obama is a "racist" with a "deep-seated hatred for white people." We're sure he hates half of himself. We guess that's better than hating all of yourself. Beck: Obama is pushing for "reparations." Black folks know that this isn't true. Not only is Obama against reparations, much to our chagrin, but his stance was part of his election campaign, much to our chagrin. Read more if you can stomach it at Media Matters.